Churchmouse Campanologist celebrates 10th anniversary! Churchmouse Campanologist turned 10 on Sunday, March 17, 2019. It does not seem that long ago, that’s for sure. I would like to thank my loyal readers — long-term and new — for making it possible! You drop in from all over the world — 182 nations — for which I am truly grateful. You can compare these and the following statistics with last year’s. I am pleased to see the return of Ichabod as a top referrer and welcome the entry of The Politically Incorrect Australian. Thank you to all my readers who have helped make these posts into Churchmouse Campanologist ‘classics’! I look forward to the year ahead in sharing more thoughts and news with you. Oh well done, sir, now for the next ten. Honoured to have you as a reader and equally honoured to be part of OoL. Many Blessings and Happy 10th Anniversary, CM!! I enjoy your articles so much and I hope there are many, many more years of them to come because there is always something new to learn here! Thank you for your great work and inspiration! Hello, Sunny. Great to hear from you. Thank you very much for your good wishes and fulsome compliment. The graphic is splendid. I am delighted to have you as a reader and always look forward to your comments. May God continue to bless you and yours — abundantly. Thank you very much, Michael — greatly appreciated. Maybe it’s time for the two of us to start complementing our nicotine intake with yoghurt. Remember the 1970s ads of the 150-year-old man (no doubt invented in Park Avenue) who was living in the then-USSR and ate yoghurt every day? Congrats!! Do we know where all this time goes? I sure zips past me rather quickly! I have benefited greatly from reading your website and the detailed wartime history you provide. 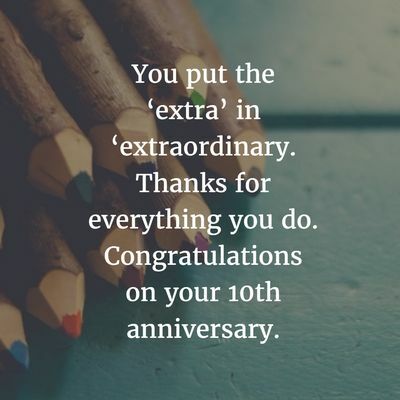 On your 10 years of blogging and especially on your diligence, thoroughness and uncompromising exactitude. Thank you very much, GA/FL — much appreciated! I am delighted about the online world in a) that our paths finally crossed in conversation and b) making the acquaintance of another fellow Episcopalian. I have removed now MCJ and Stand Firm from my active links. The other three have been on my Blogroll for several years. Please keep up the excerpts from the Book of Common Prayer on the Q Tree. I very much enjoyed the Prayer for the Nation — very fitting. Anglican prayers and hymns are truly wonderful.